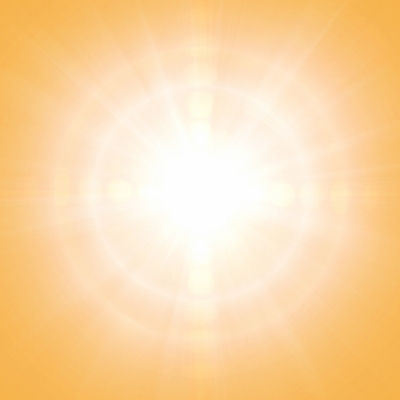 Generally known as the “sunshine vitamin”, our main source of Vitamin D is from the sun. It is needed in the body for healthy teeth and bones, but it also has links to other diseases such as mulitple sclerosis, depression, cancer, autism (lots of research is ongoing). Vitamin D is make via ultra violet (UV) light, and this type of light comes with health warnings during the summer months which is why we wear sun cream. There are 3 types of UV light: UVA, UVB and UVC. UVB is the one which makes Vitamin D. During the winter months, the UK is at too higher latitude (above 35 degrees north of the equator) meaning only UVA hits the earth’s surface. There is insufficient UVB for the body to make Vitamin D during the winter months here in the UK. Vitamin D is a fat soluble vitamin, which means that it can be stored within the body (unlike water soluble vitamins such as B and C which cannot be stored and any excess will be excreted via the urine). Some people can store enough Vitamin D to last through the winter months without any problems. However many people might be deficient in Vitamin D because they don’t go outside very much. Examples include disease and illness forces them to stay indoors, they live a sedentary lifestyle watching TV for large proportions of the day, they work long hours in front of a computer, or they use so much sun block during the summer that their skin is not exposed to the UVB rays. This is why a supplement is a good idea particularly over the winter months in the UK and other northern hemisphere countries. Combine the insufficient UVB and the little Vitamin D we get from our diets (oily fish and eggs) gives you a good reason to supplement. In the UK the recommended amount is 400 international units (10 micrograms) a day for adults at risk of deficiency because of lack of sunlight. But as we are all at risk of this during the winter months, my own opinion is to supplement daily. Research data from the University of Aberdeen suggests that Vitamin D status was higher for people who took sunny holidays abroad, and for those who were taking fish oils. The latter can be explained 2-fold: fish oils do contain small amounts of Vitamin D, and also fish oils are an essential fatty acid which optimises the body to store Vitamin D (remember Vitamin D is fat soluble). Dr Mercola also suggests a Vitamin D supplement is optimised if taken alongside some healthy fat. He also argues that 400IU is not enough and recommends a higher dose, however a study carried out by the University of Aberdeen showed that when the daily amount was increased from 400IU to 1000IU the marker of Vitamin D only increased by a small amount, revealing that the body is reluctant to increase to much higher levels. It is important to remember that although you can take too much Vitamin D, there is a wide safety margin. So whether you decide to take 400IU or 1000IU or somewhere in between, it is generally a safe amount to take daily over the winter months. As with all vitamins and minerals, they don’t work in isolation, which is why I use those formulated by Neal’s Yard Remedies Organic which are synergistic blends from plant sources surrounded by superior absorption capsules which are released within 15 minutes of entering the stomach. Why not try the Multi Mineral and Vitamin Boost which is a synergistic blend of plant-sourced vitamins B, C, D and E and zinc. Combine with a healthy fat, such as the Organic Beauty Oil, Omega 3-6-9 or a teaspoon of coconut oil, or take a look at the Vitamin D supplement which is sourced from algae. Previous Do you suffer from the Winter Blues?